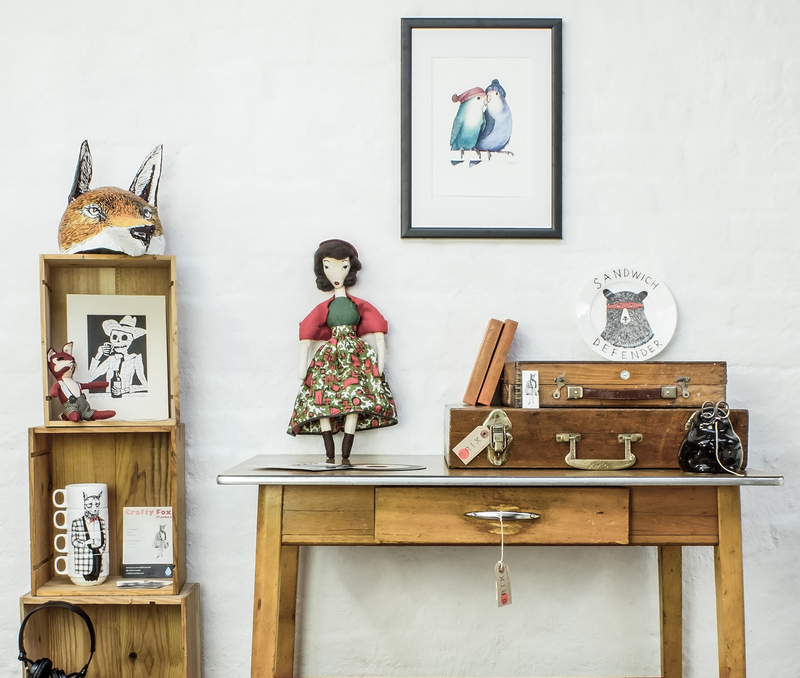 Brixi and Crafty Fox venture north of the river for 5 days to host a pop-up shop at the Camden Collective shop on Camden High Street. Please support them! CUT & PASTE will be transforming the refurbished high street shop into a week-long temporary store, gallery and event space. The shop will play host to a handpicked selection of British made design talent, showcasing dollmakers, ceramicists, jewellers, modelmakers, textile designers and more. This visual celebration of British creativity and eccentricity aims to provide a respite from the mundane and mass-produced. 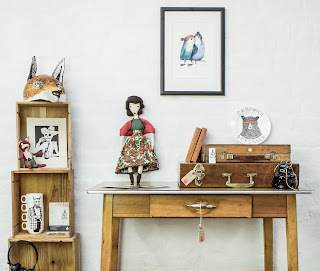 Supported by a programme of creative workshops (booking at www.craftyfoxmarket.co.uk), CUT & PASTE will give customers the chance to get their hands dirty and try new things. Workshops include; terrarium building, lino-printing and photography for designers. Part of the Camden Collective Project, a regeneration initiative supported by Camden Council, CUT & PASTE is excited to be one of a whole host of creative endeavours enlisted to help revive an ailing stretch of high street (for further information www.camdencollective.co.uk)"